This interactive presentation shows the oil production from horizontal wells in the Niobrara shale oil formation (Weld county, CO). It contains data until August 2015. Where in the post of last month on this basin we saw a small uptick in production, a small decline followed in August 2015, to just over 200k barrels per day. As you can see from the color, half of the production in August came from wells that started in 2015. If you click on the third tab ("Well quality over the years"), you can see production profiles from the average well, starting in each of the past years. You can see that the average 2015 well was producing slightly less than the average 2014 well at 8 months on production. The average well from the past 4 years produces about 20 barrels of oil per day by year 3 (36 months on production). I am wondering if these wells are breaking even on operational costs at current oil prices. Mr. Helms from the NDIC mentioned that in ND many shale wells need at least 30 barrels of oil per day. Probably break-even costs are quite lower on these wells in Colorado. Still, these wells are, on average, probably not returning much free cash flow anymore by that time. The average 2013-2015 well will probably have produced just less than 100k barrels of oil at year 3. 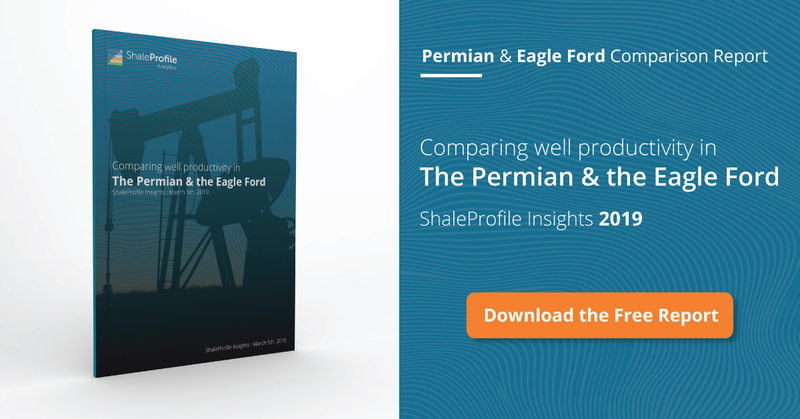 You can select individual operators to analyze their average well production profiles, or to see the total operated production. By the end of next week I will have a post on the Eagle Ford!